CLEMSON, S.C. (AP) — Trevor Lawrence was 21 for 38 for 251 yards and two touchdowns and No. 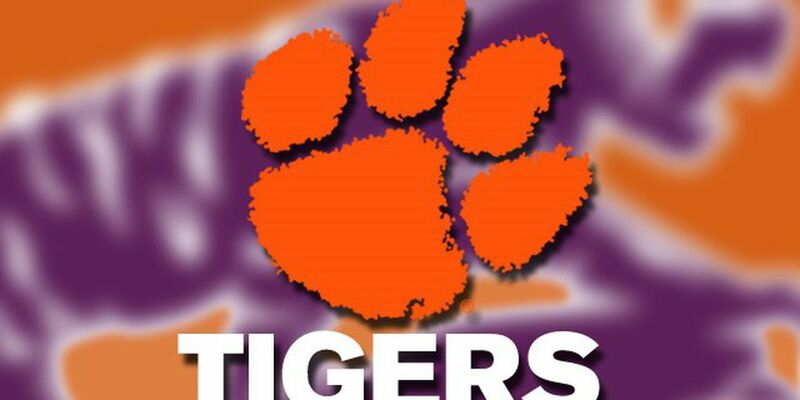 2 Clemson overcame a slow start to beat Duke 35-6 on Saturday night to finish a perfect Atlantic Coast Conference season. Daniel Jones was 24 of 43 for 158 yards for Duke (7-4, 3-4). Collin Wareham made field goals of 32 and 34 yards, but missed a 42-yarder midway through the third quarter after Duke put together a 13-play drive. The Blue Devils had 127 yards in the first quarter, then only 135 yards the rest of the game. Clemson had four sacks, keeping the Tigers among the national leaders. The Tigers may have a big injury to overcome in their playoff push. Senior Hunter Renfrow, whose catch in 2016 won the national title for Clemson over Alabama, left the game in the first quarter after setting a team record catching a pass in his 39th straight game. There was no immediate update on the senior's injury. Duke: Those two first-quarter, red-zone drives that ended in field goals kept the Blue Devils from putting real pressure on Clemson for the first time in nearly two months. Duke also struggled, like many teams do, to get big plays on Clemson's defense. The Blue Devils only had two plays go over 20 yards. Duke has never beaten a team in the Top 3 in the AP poll. And for Blue Devils fans, there is perhaps a small bit of revenge on the horizon. The No. 1 men's basketball team visits No. 19 Clemson on Jan. 5. Clemson: The no-drama Tigers keep taking care of business after turning the offense over to Lawrence. Since the 27-23 win over Syracuse in Lawrence's first start (and where a blow to the head took him out in the second quarter), Clemson has outscored its opponents by an average of 42 points in the past six games. Clemson also finished 8-0 in the ACC for the second time in four seasons — the only times they've been 8-0 since the league's 1992 expansion. Florida State has done it nine times, but not since the Tigers took control of the league with the first of their three straight ACC titles in 2015. Clemson should remain second in the AP Top 25 and the College Football Playoff polls, just like the Tigers have since riding out their five-week dip after a 28-26 win at Texas A&M the second week of the season. Maybe No. 1 Alabama's 10-10 halftime score against The Citadel means the Tigers get a first place vote or two? Duke: The Blue Devils finish the regular season Saturday hosting a Wake Forest team that needs a win to be bowl eligible. Clemson: The Tigers host South Carolina, looking for a fifth straight victory against their in-state rival. The Dec. 1 ACC championship game also is set against Coastal Division champ Pitt.